The CHANGE DF-602BF Folding Mountain Bike that is designed to provide comfort, high performance and durability and features a completely triangular structure rigid frame design, offering you a great ride, and yet can be folded down quickly in seconds. With the added features of FOX Factory Air CTD (Climb, Trail and Descend) long travel front suspension, and Shimano Deore XT 30-speed drive train, this folding mountain bike will help you stay safe and also keep up with others without difficulties. The Only folding frame achieves MTB frame safety test EN 14766. Strongest, Smallest, Lightest, 100% Part Compatibility, Toolless. The Change folding bike frame retains the same tried-and-true triangular shape that’s been used in bicycles for generations. This enables a lighter weight and greater stability than what’s found in the linear designs of other folding frames. In fact, to the untrained eye, the Change frame can pass for a standard bicycle. It won’t attract any attention until its owner folds or unfolds it. The ONLY Folding Bike Frame that has passed the EN 14766 MTB test. Sturdiest, Smallest and Lightest folding bike; Precise alignment. Fold it Quickly, Simply without using any tools. F.I.T(Fox Isolated Technology)，Air and oil do mix, and in the world of suspension, it degrades performance. Our isolation technology employs a bladder system that simply keeps the oil and air from mixing to provide optimal performance in all riding extremes. technology is a simple and intuitive method for controlling the suspension characteristics on the bike. CTD stands for: Climb,Trailand,Descend. Each setting corresponds to the various trail conditions to allow the rider to make on the fly adjustments. Climb Mode - has the firmest low- speed compression, which maximizes pedaling efficiency and has minimal suspension movemen to reduce pedal-bob. Trail Mode - provides an optimal blend of pedaling efficiency and control on variable terrain. Descend Mode - provides the rider with the most active suspension. Descend mode is an optimized low- speed compression setting which provides the perfect balance of control and plushness for steep, aggressive descents. The Kashima coating is a hard anodizing process that fills in any micro pores in the material creating a smoother surface, Its distinctive gold color is backed by its high performance attributes including extreme durability as well as an extremely smooth feel. The whole purpose and value of the Kashima coating is its friction reduction properties. 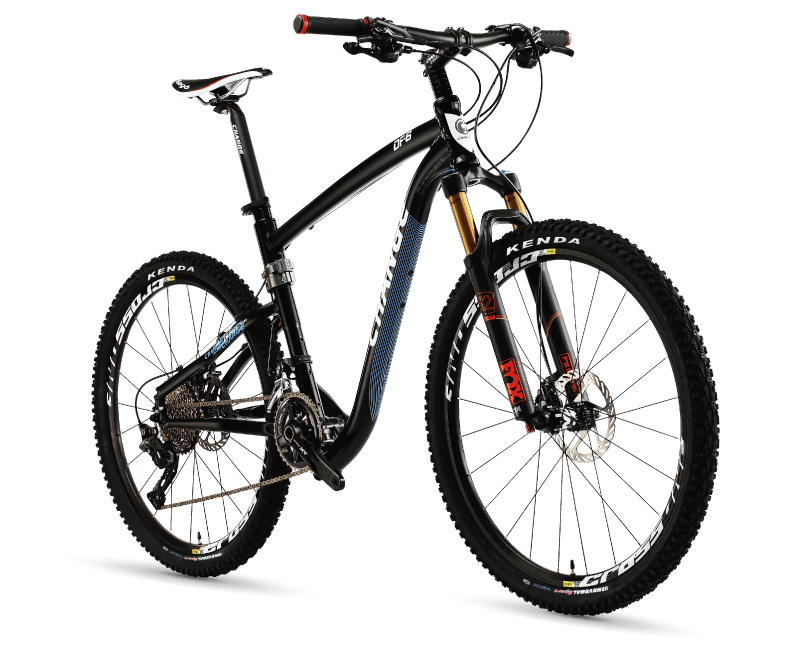 From the early days until today, “XT” has been thebenchmark in mountain bikecomponent technology, excelling in quality, innovation and performance combined with an extensive product range to suit a wide range of riding styles. Always take the bike with you. Change lightweight folding bike is specifically made for long distance travel, including by air travel, in an RV, yacht as well as any other form of transportation that involves stowing a bike into any kind of luggage compartment, in addition to also being conveniently transportable for any short distance commuting. The advantage of a 26” wheel/700C touring bike is it is easy to repair and find replacement parts no matter where you are in the world. A folding bike can be safely stowed in a bus luggage compartment. Since it is not any bigger than a small suitcase, folding bike travel is the best way to get around a city. Between bus trips, someone can get around a city without worrying about carrying it on the subway or facing traffic, and they can save money on paying for taxis or renting cars. With there being new cycling lanes constructed in many different places, a folding bicycle is a viable and safe alternative to public transportation. The Full Triangular Structure Design, no cutting or Perforating tube. No any mechanical part on top tube, no fear of staddling the bicycle. Down tube is a key support of a bike. Without down tube, the bike can't withstand the heavy. It is also able to prevent splashing water directly on bottle. Use folding boxes or single-beam designs. Does not comply with the principles of mechanics. Defective structure by cutting or perforating tubes. 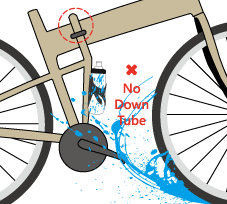 No down tube-the frame becomes weaker. Folding mechanical parts designed on top tube or aside, it is easy to hook the clothing or interference when straddling the bicycle. 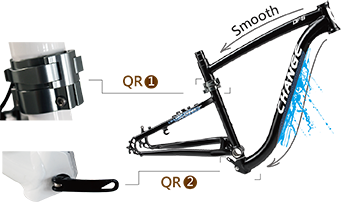 The folding design doesn't destroy the frame geometry, so it can be applied to various folding bikes (eg: mountain or road bikes) to achieve the best frame geometry. 26 inch full size bike is low center of gravity, allowing greater stability. The folding design limited the frame geometry, can only reach approximate, not the best frame geometry. Single-beam design has long lever arm which fits lower tolerance small folding bike. Yet, it is high certer of gravity, unstability, easy to fall down when riding downhill rapidly. It is the ONLY folding frame design to achieve strictly European MTB frame safety test, EN 14766 certification. Unable to pass the tests. Multi-size frame available (17", 19", 21") to meet people of different height and ergonomic. Most folding design can only make one-size folding bike, does not match the ergonomic. Front triangle frame enables folded ( close to a 26-inch) that can be easily placed in the trunk and the front wheel can be fixed on special natch to prevent scratching the bike body. Part of the front triangle frame can not be folded. Able to Stand after folding. Unable to Stand after folding. It is the only one to have chainwheel protection device. Seat tube automatically elongates to avoid chainwheel hitting ground after folding. While riding (unfolded), it automatically retracts to avoid affecting the ride. These are all the automatic reaction, without any additional actions during folding. U-shaped bracket of chainwheel protection is welded. It would be hitting something when riding. There is a special natch designed at chain stay to fix the removed front wheel. The entire folded unit can be carried with one hand. No fixed front wheel design, needs to carry it by another hand. By Triangular geometric mechanics to achieve the strength, reduce bike weight to less 10KG. Single beam tube design doesn't match Triangular geometric mechanics so it has to informce pipe thickness and hings, and increase tube diameter lead to bikes become heavier. 100% part compatibility. Replace Change frame, your bike can become MTB folding bike. Many non-standard (customized) folding mechanisms makes the difficulty in obtaining spare parts, and causes higher maintenance costs. The carry bag is waterproof and double fabric protection design at the bottom to increase load. Folded dimensions close to a saddle size, like a small pouch. Carry bag normally is designed to be a big bag. When you carry a folding bike to go out for riding, you may find no place to put the bag. Copyright © 2018 CHANGE All rights reserved.